Supporting common facilities include a 140,000-square-foot, 50,000-volume library, a 1,200-seat auditorium, a sports center, a student center, student dining facilities, a cultural center, and a 105-unit faculty housing structure. 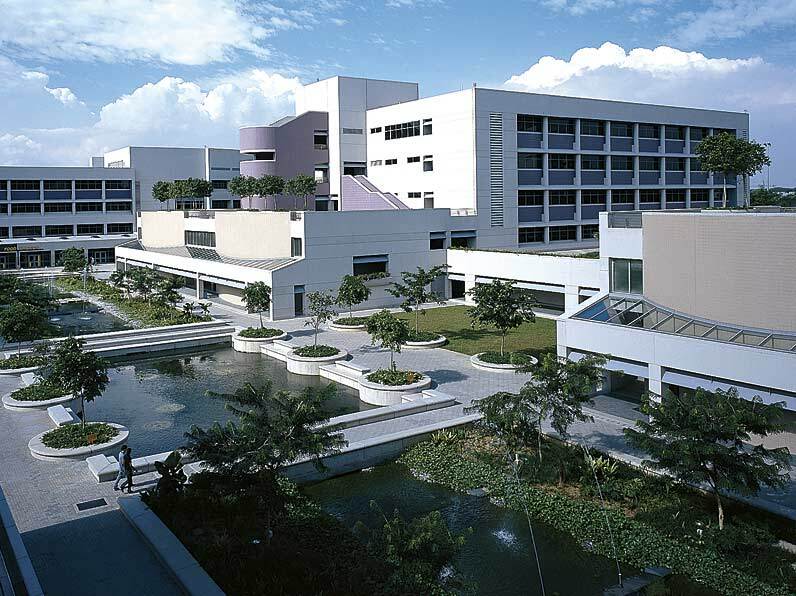 Nanyang’s mission is to bring over 12,000 students together with faculty, business and industry leaders in an interactive educational community. The campus is a state-of-the-art facility with the latest communication infrastructure of multimedia video, voice, data and telecommunication links and a comprehensive building automation system. The campus design carefully separates pedestrian and vehicle circulation. A central building with common facilities (Library, Auditorium, Student Activity Center, Lecture Theaters, Canteens, Child Care and Staff Centers) is connected to individual Schools by a system of gardens, terraces and covered walkways. A loop road system provides parking and service to each individual building. The Northern Campus includes The School of Engineering and Information Technology. The Southern Campus includes The School of Business, School of Health Science, Student Activity and Sport’s Facilities. All main facades and window areas have external sun control overhangs and are oriented to the north and south to minimize solar heat gain.